When we were a few days away from our pre-sale, we made a conscious decision to set the minimum contribution amount to 3 ETH for 2 reasons. First, we wanted the more serious end of investors to participate, who would not just be able to contribute capital, but who also believed in the project. Be champions of the project, without too much involvement, basically. Second, we were banking on the fact that some of these investors wouldn’t just participate financially, but also open doors for us — whether that be with influencers or with the product itself. “Strategic investors”, as we’d like to call them. However, as we moved into the actual pre-sale, we realised that there were only a handful of such investors around, and Enkidu as a team was severely limiting the entry threshold to participate in the pre-sale itself. To us, the pre-sale should have been more about getting investors on board who actually understand the idea and it’s potential, rather than big ticket whales who just wanted a quick flip. 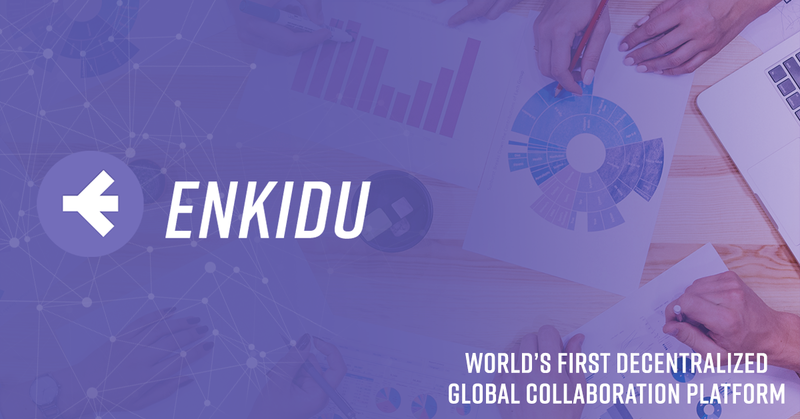 Freelancers who have long been looking for other avenues to make passive income clearly understand the use cases of the Enkidu platform. We were honored to have several of them from all across the world reach out and tell us how valuable a platform that allows them run simple companies at zero cost is. At the same time, they also managed to get the point across that while they’d love to be a part of Enkidu, the 3 ETH minimum contribution limit was a deal breaker. They mentioned that freelancers like themselves did not have that much liquid Ether to invest at such short notice. While this was happening, we asked ourselves a question. Whose lives are we trying to make better with Enkidu? Is it the people who already have enough capital to go out and build businesses, the legal/financial auditing side being a minor inconvenience? Or freelancers who were looking for ways to build passive revenue, a place we understand so well, because it’s a place we’ve been at so many times in our own careers as freelancers. The answer came easy to us. Without much further ado, we’d like to report that starting March 17, 00:00 UTC, Enkidu’s minimum contribution price for the presale will be set to 0.1 ETH, with the same 40% bonus in play. Combined with a earmarked American VC investment and pre-sale capital contributed, we have already raised enough money to carry out our public sale. To us, the pre-sale isn’t just about raising money anymore — it’s about on-boarding people who believe in what we are doing and who want ownership in a product that could one day be the default way to start a small business, regardless of where in the world you are situated. We’ve been observant of the current market, and since our token price is pegged to FIAT instead of ETH, we understand that some investors might get uneasy — especially with the bloodshed that the Ether price is seeing. As much as we want to be proactive instead of reactive, pausing our pre-sale is a decision we haven’t made yet. We’ll keep close watch over the market and community, but please reach out to us if you have such concerns. We’ll have a position on this within the end of the week. Freelancers, the ball is in your court now (P.S: Check out our Alpha prototype). Interested in contributing? Join us now at Enkidu.io! Enkidu is a platform that allows creators, engineers, designers and even coffee brewers all over the world to get together and build small businesses at zero cost. Enkidu does by providing a payment splitter that obeys the rules of it’s share table (called a cap table) and business rules (called resolutions).